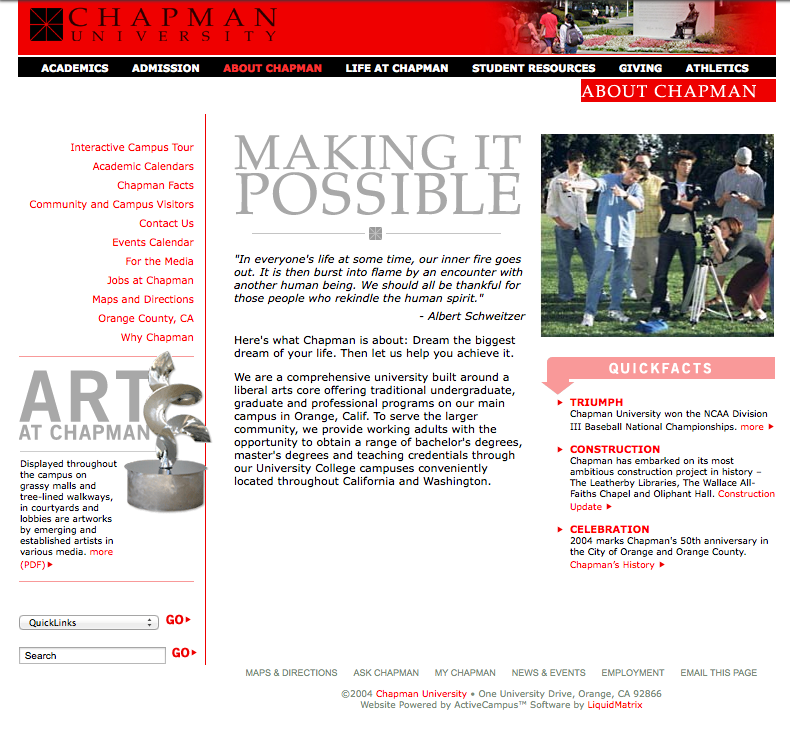 This iteration of the Chapman University site was a giant step forward from the previous static site design. 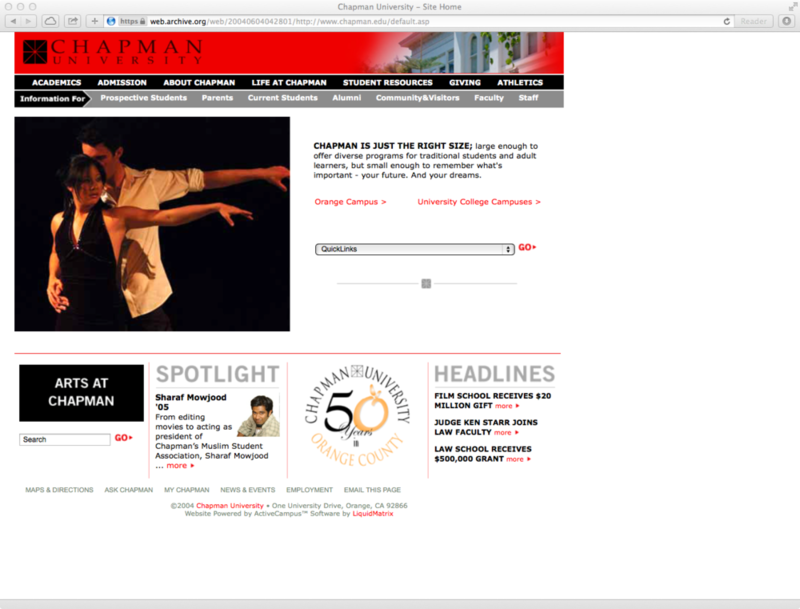 Here's the homepage, which was customized for each user who'd made a profile. Different sections showed content dependent on the user's likes, interests, place in the admissions process, alumni status, etc. 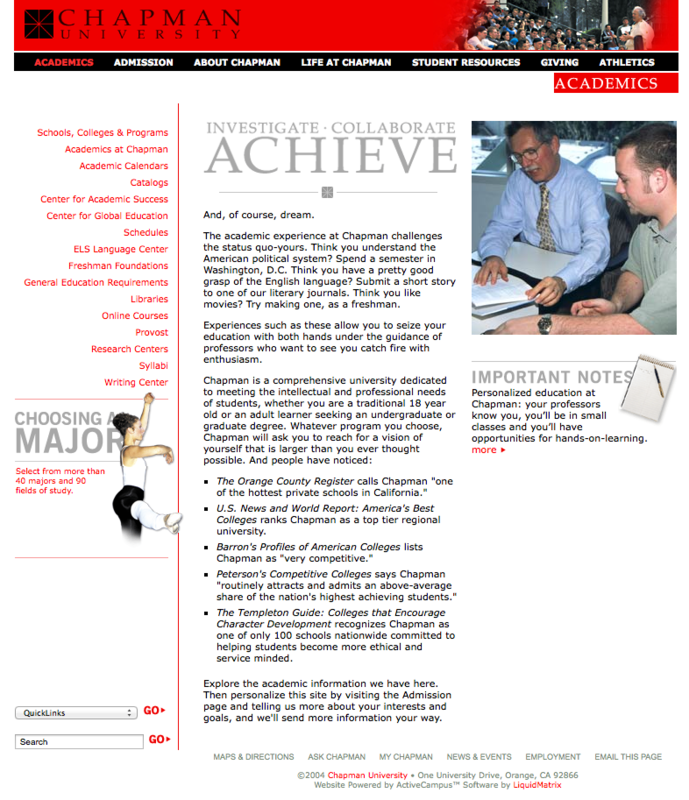 To truly see how the site functioned, I suggest using the Wayback Machine. A second-tier landing page design. Knocking out all the backgrounds for those images in the left column was extremely time-consuming. 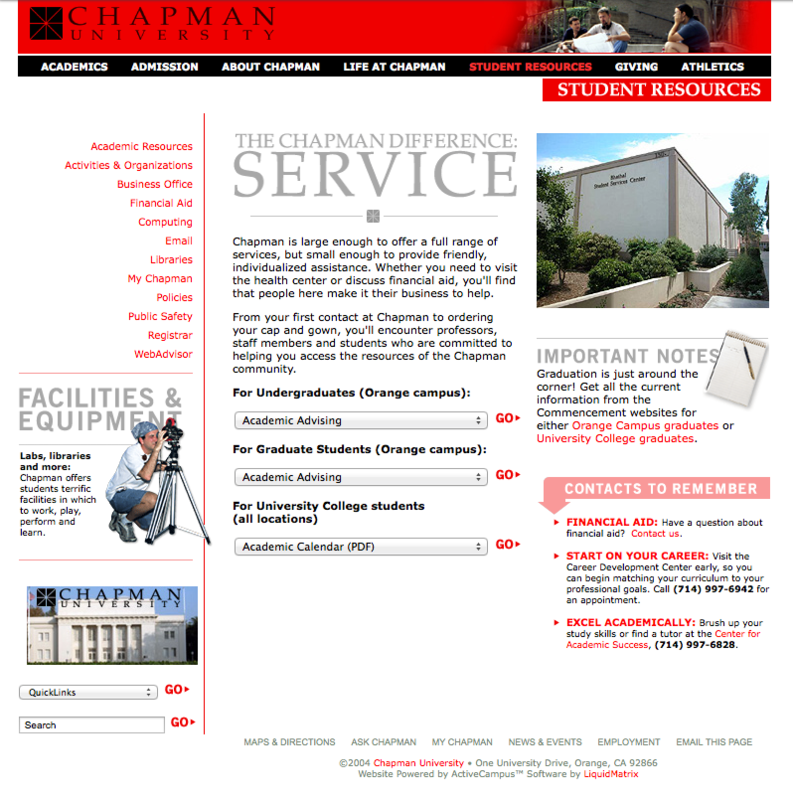 The student resources page, broken down by type of student.